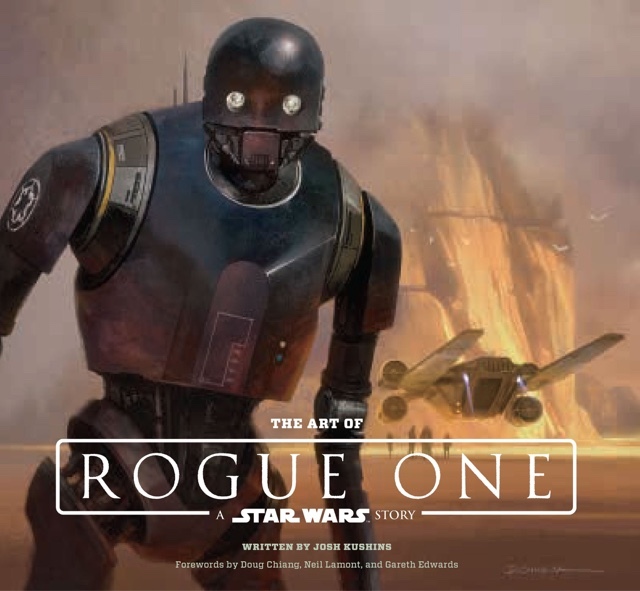 Continuing the long tradition of Star Wars tie-in Rogue One will have its own art book . Written by Josh Kushins, The Art of Rogue One - A Star Wars story features a massive amount of concept design, character iteration and all round Star Wars goodness. Featuring Alan Tudyk's K-2SO robot on the cover, we are keen to see what design work went into creating this Imperial droid turned Rebel. Star Wars concept design artist Doug Chiang does an introductory text to the book - this is fabulous as he's had a key hand the design of all the new Star Wars films, including Kylo Ren. Chiang's claim to fame is he was lead designer on the Prequel trilogies, which you've got to admit were visually wondrous. The Art of Rogue One is set for release on December 17th - the same day as the film so presumably to avoid the risk of movie spoilers! You can pre-order the book from Amazon today !